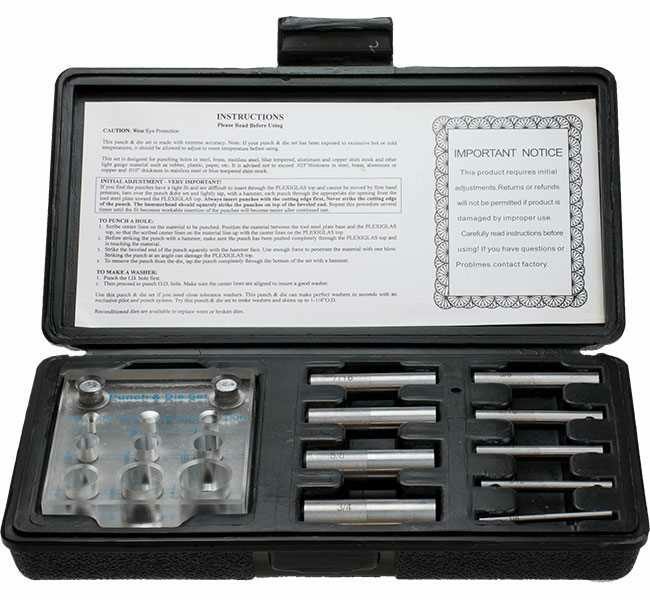 Catalogue > Measurement > Punches & Scribes > Punch and Die 9pc Set - 1/8" - 3/4"
Designed for quickly and accurately punching holes and making washers in shim stock and other light gauge materials such as rubber, plastic, paper etc. up to 0.025" thick. 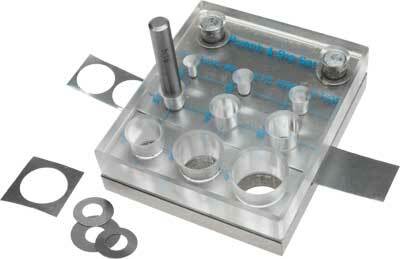 Punch sizes: 1/8", 3/16", 1/4", 5/16", 3/8", 7/16", 1/2", 5/8" and 3/4"